The Youth Education activity prepared by our chapter (OSA-NJU) was carried out on 18 April, 2014. 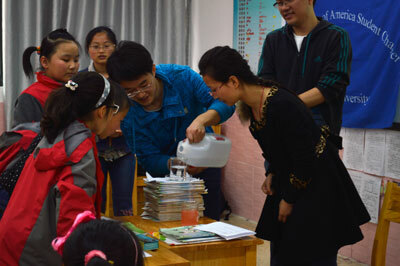 This activity provided the pupils from Jinling Primary School with a science class. 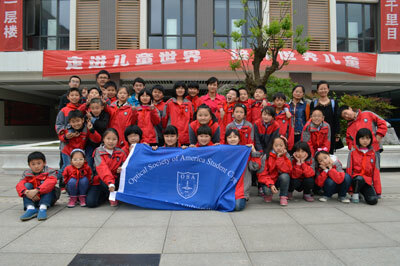 Lijun Hao, Peng Wang, Zhenxing Wu, Dunzhao Wei, Libo Zhang, members of the Nanjing University Student Chapter of OSA, participated in this activity. 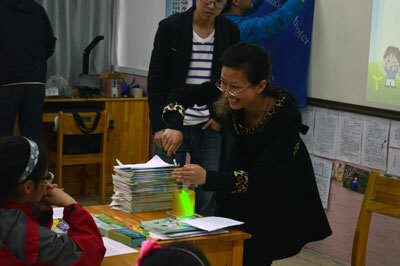 We taught some optics and demonstrated some interesting experiments to the students in Class Two, Grade Four, at the Jinling Primary School. 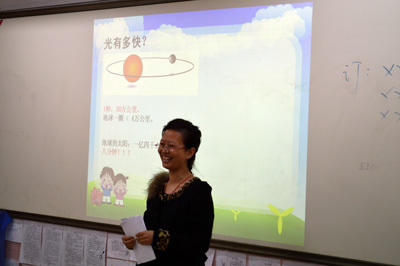 At first, Lijun Hao introduced some interesting optical phenomenon in everyday life and asked questions of the students. The first optical experiment demonstrated was the reflection of the light. The pupils were attracted by this magic phenomenon. Then the experiments on light refraction and polarization ware carried out. The pupils gave their guess on what was happening. We had a lively discussion, and then provided the simple explanations. Following that was the most interesting experiment, called the disappearing coin, which fascinated the students. The last experiment was about the focus function of the lens. 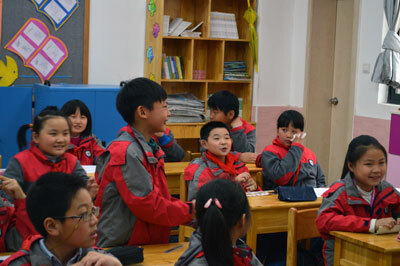 At the end of the class, we encouraged them to work hard. We gave them school badges and group pictures.